You may legally marry at the Gibraltar Registry office, before you embark on the Schooner for an additional blessing by the captain. 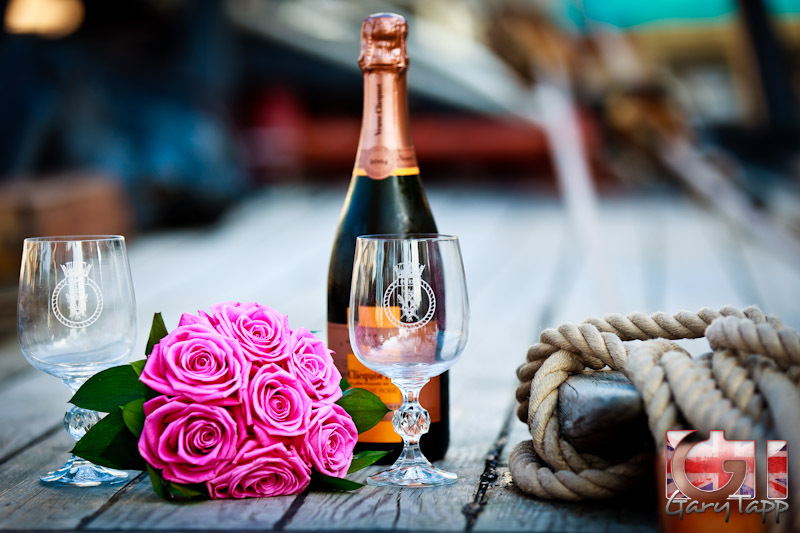 Followed by a photo shoot, Cava on board and dinner for your party of approx 20 guests. 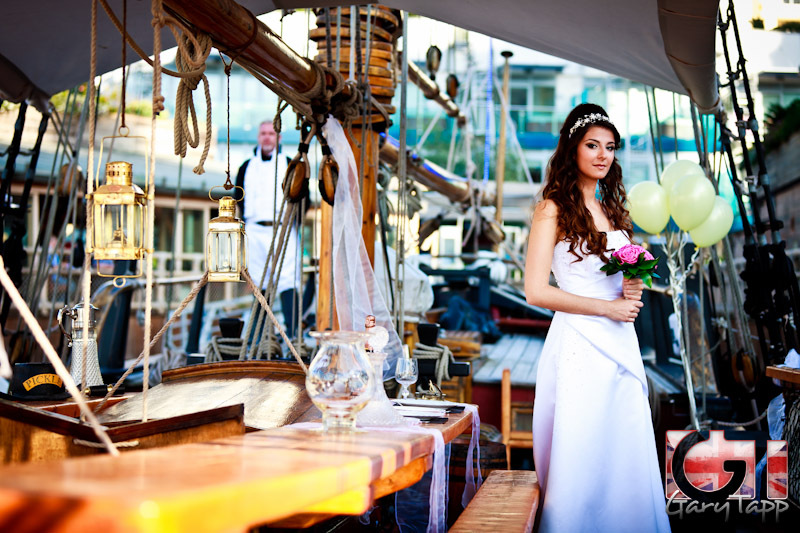 Schooner Pickle can accommodate 20 guests fully seated on deck, or 30 or more for a standing fork buffet with caterers and a full bar service on offer. 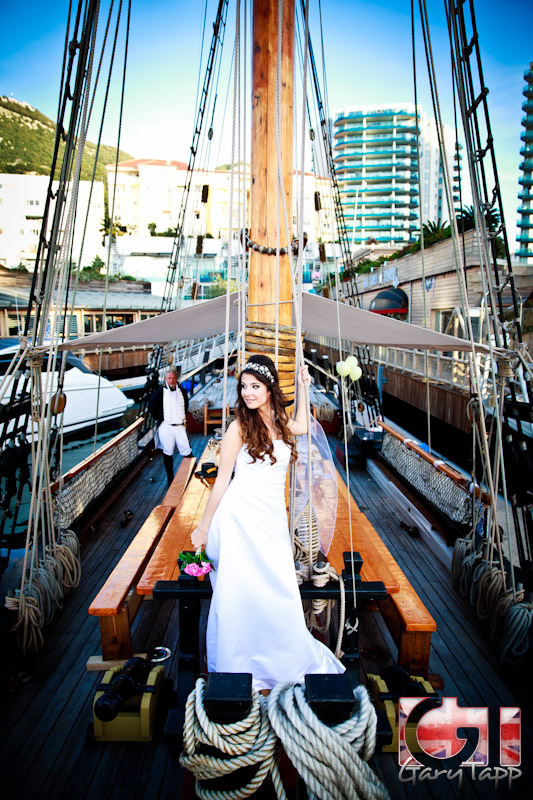 Weddings photoshoots, receptions and drinks onboard, are all possible and welcome.